Our guide will meet you outside customs at Beijing Airport. After you retrieve your luggage and clear customs, we will then transfer you to the hotel. The rest of the day is free for individual activities. 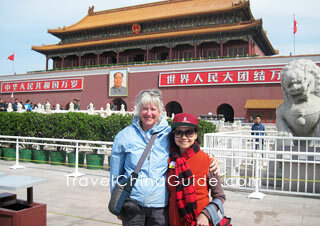 This morning, you will be guided to visit the world's largest city square, Tiananmen Square. It also serves as the entrance to the Forbidden City, your next stop. Regarded as one of the World's Top Five Palaces, the Forbidden City is the largest and most complete ancient architectural complex in the world. It is a good place to learn about the imperial lives from more than 500 years ago. Since there are almost no good restaurants nearby, we suggest you take some simple food with you, or buy fast food served inside the Forbidden City. In the afternoon, you will visit the Summer Palace, which was a water and mountain garden used as a summer resort by the imperial family in the late Qing Dynasty. With delicate buildings, stone bridge, shy willows and elegant hills reflected in the water, the garden has become a picturesque wonderland. Today we arrange a visit to one of the world's greatest manmade projects, the Great Wall. Measuring about 5,500 miles long, it is hard to see the entire site. 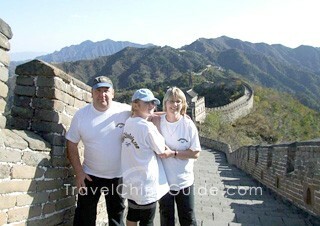 The section you will visit is the Mutianyu Great Wall, one of the best-preserved and best-known sections. The round-trip cable car will be arranged. Lunch is not provided. Since there are no decent restaurants, we kindly suggest you have some fast food around the site. Afterwards, your visit continues to the Temple of Heaven, a place where ancient Chinese emperors held ceremonies to worship heaven. Besides the main buildings: the Circular Mound Altar, the Imperial Vault of Heaven and the Hall of Prayer for Good Harvest, the Three Echo Stones and Echo Wall are also very interesting. All activities today will be on your own. If you want to do some shopping or taste the local food, the famous Wangfujing area near your hotel would be a great choice. The check out time of the hotel is 12:00. You can store your luggage at the hotel reception during your exploration and retrieve it before heading to the railway station. From the entrance of the hotel, please turn left to reach the Nanheyan Street. Then walk north down the street about 50 meters and there is the bus station. Take bus No. 82 for 2 stops, get off at Qianmen Station, and you will find bus No. 301 or 67 which are just a few steps away. After 6 stops, either of these buses will take you to the Beijing West Railway Station which is just across street from the bus station. The whole journey may take about an hour if the traffic is light. Before getting on the train, we suggest you have dinner elsewhere or take some food with you as the food served at the railway station or on the train is not very appetizing. The train tickets will be given to you by your local guide the day before. If you have any concerns, please ask your guide in advance. 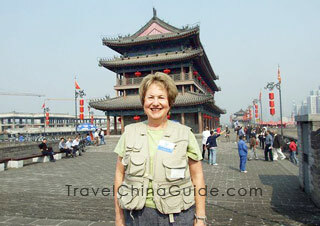 Our local guide will meet you at Xian railway station and transfer you to the hotel. Since there are many nice eateries around your hotel, we leave breakfast to you. 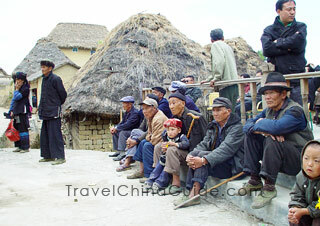 It is also a great chance for you to dine with the local people and see what they eat in the morning. You will start the private tour at the Terracotta Warriors and Horses Museum, which is said to be the Eighth Wonder of the world. By visiting these life-size terra cotta soldiers and horses, ancient weapons and chariots, you will learn more about military affairs in ancient times. Since lunch is not included, you can ask your guide for suggestions. 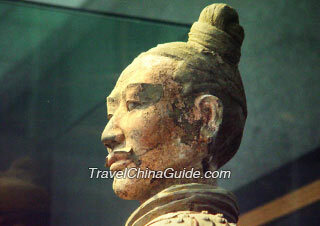 The afternoon sightseeing will be extended to the Shaanxi History Museum. This museum collects various exhibitions concerning almost every stage of human beings from primitive times to 1840. The last stop for today is the Xian Museum and the exquisite and graceful Small Wild Goose Pagoda which is located in Jianfu Temple. It was listed as the national major cultural relic preservation site by State Council in 1961. No guided tour is arranged today. As your hotel is located in the city center, it is very easy for you to wander around by yourself. For your information, there are many scenic spots near your hotel, such as the City Wall, the Bell Tower and Drum Tower, the Great Mosque and the Muslim street, the Shuyuanmen Antique Culture Street and the Forest of Stone Steles Museum. The bazaar is a great place to have your lunch. Bus No. 603 will take you directly to Xian Railway Station in about 45 minutes. The bus station is on the east side of the South Street and the bus is always crowded. As it is not so easy to catch a taxi in Xi'an, bus sometimes seems to be the only way. After getting off the bus at the terminal station, you will see the railway station on the other side of the North City Wall. Also, the train tickets will be given to you by your local guide in advance. 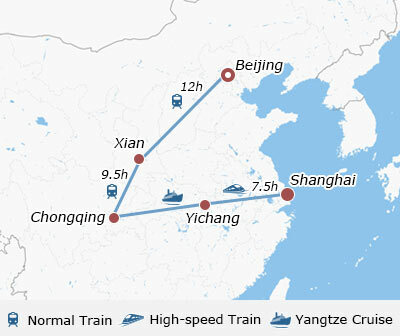 The train will arrive in Chongqing in the morning. Your professional Chongqing tour guide will meet you with comfortable transfer service. There will be a brief city tour to the Panda House in Chongqing Zoo, General Joseph W. Stilwell Museum, and Ciqikou Village. Chongqing is famous for hot pot which is loved by almost everyone. If you are not used to spicy food, you can ask for the plain soup hot pot for lunch. 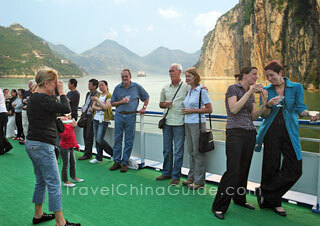 Your memorable Yangtze River tour begins at 22:00 as you board the luxurious cruise ship. Today you will have a shore excursion to Shibaozhai, which is famous for its fanciful architecture and many interesting legends in Zhongxian County. With the reputation of 'Pearl on the River', Shibaozhai has received 220,000 visitors from home and abroad every year since opened to the public in 1979. Now it has become the 'little Penglai' for visitors to overlook stunning riverviews. After the sightseeing, you will board the ship and the cruise continues. Please enjoy yourself at the Captain's Welcome Party tonight. The essential part of your river journey is coming today. You will appreciate the unique scenic splendor of the three gorges. First, the ship will sail through Qutang Gorge, the grandest and most dangerous section. Standing on the deck, you will see the steep precipices on both banks of this narrow stretch of water. After that, you will enter Wu Gorge which is famous for lofty peaks and mountains, especially the twelve charming and lively peaks standing in different postures and manners. 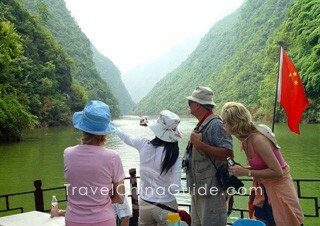 The ship will then take you to Xiling Gorge, the longest but gentlest one among the three. Between Qutang Gorge and Wu Gorge, you will take an interesting junk adventure for about three hours to Shennong Stream. While drifting through this zigzagging watercourse on a small boat, you can feast your eyes on the beautiful landscape. The final onshore excursion is a visit to the Three Gorges Dam, a project which brings in great benefits in flood control and power generation. There is a viewing platform on Tanzi Mountain where you can overlook the entire Three Gorges Dam. After that, the cruise ship company will transfer you the Three Gorges Tourist Center in Yichang city, where our local guide will meet you and send you to the railway station to catch the bullet train from Yichang to Shanghai. We suggest you have a big breakfast on the cruise and take some food with you for you may not have time for lunch. The train ride takes about 7.5 hours. Upon arrival in Shanghai, please go to the hotel we have booked for you on your own. If you arrive at the Hongqiao Railway Station, you can take subway line 10 (Xin Jiang Wan Cheng Direction) to South Shaanxi Rd. Station and then change to subway line 12(Jinhai Rd. Direction). The second stop on the subway is the Hanzhong Road, from where your hotel is about 500 meters away on the west side of the Hengfeng Road. Alternatively, you may take a taxi (CNY70) to the hotel directly. If you arrive at Shanghai Railway Station, we suggest you take subway line 1 (Xinzhuang Direction) and get off at Hanzhong Rd. Station, exit from Exit No. 4 and walk to the hotel. Or you may hail a taxi to the hotel directly with a cost of about CNY20. For the free day today, we suggest you take a taxi between the scenic spots. This is very economical and convenient (CNY14 - CNY21 per way). The first spot we recommend is the Shanghai Museum which is located near the Renming Square (People's Square). The museum houses a large number of historical art works like bronze, sculpture, jade, porcelain and ceramic wares. We suggest you rent an audio guide for CNY40 to make sure the major collections are not missed. The next stop is Yuyuan Garden. With halls, pavilions, bridges, pools and corridors carefully laid-out, it is like a work of nature, not a manmade garden. 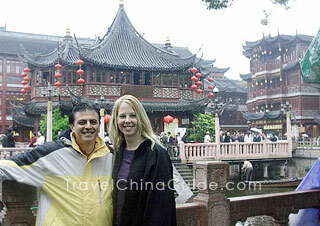 The surrounding area is the Shanghai Old Town, and you can easily find a nice restaurant to have lunch. In the afternoon, take a taxi to the Bund area along the Huangpu River. Having the reputation as the mother river of the city, Huangpu River is packed with sightseeing, shipping, irrigation, fishery and climatic regulation. The Bund is located on its west bank where a cluster of western-style buildings form the 'Museum of International Architecture'. Looking across the river to its east bank, you will see modern skyscrapers one by one. You will travel to the airport to board your homeward flight on your own. We suggest you reach the airport at least 2 hours before the departure time of your flight. The transfer costs around CNY170 by taxi from Golden River-view Hotel to the Pudong Airport (PVG). As an alternative, you can choose to walk to the Hanzhong Road and take subway Line 1 to the People's Square stop and transfer to Line 2 to reach Pudong Airport. If you go to the Hongqiao Airport, taxi is the most preferred choice. Subway is also very convenient. Please take subway Line 1 and get off at People's Square and find Line 2 to Hongqiao Airport. Please ensure the train is going the correct direction. Hope you have a smooth trip back home. Can i buy the Beijing Transportation Smart Card at the Capital Airport at 22hs? Yes, you can buy it at the ticket counter. It’s available from 6:20 to 22:50 in T3, 6:35 to 23:10 in T2. Can you please advise if luggage padlocks are required for Chinese flights? Yes. The luggage padlocks are required for checked luggage to avoid theft. What is the weather in July? We are going to visit Beijing, Xi'an, Shanghai plus Yangtze River in July next year. What is the weather like in these places, so I'll know what type of clothing to bring? Generally speaking, it is Summer in China, during which it is hot with abundant rainfall. The average tempreture of July in Beijing is 72°F - 88°F, 72°F - 90°F in Xi'an, 77°F - 91°F in Chongqing, 75°F - 90°F in Yichang and 77°F - 90°F in Shanghai. But the tempretures changes evidently when it rains. You are suggested to wear cool clothes such as T-shirts and shorts, but also bring a light jacket. A rain coat, unbrellars and a sunglass or a hat is also necessary. I am going to take the 3 Gorges tour this Summer and disembark at Yichang Port. Can I take a train for the journey and can I buy train tickets in advance from overseas by using credit card? How long does it take from Yichang to ZJJ? Yes. The direct train is available from Yichang East to Zhangjiajie. The train ride takes around 4.5 hours. You can book the train ticket through an agency in advance. For a group of 5 adults, would it be cheaper to hire a mini-van to move around Beijing instead of getting two taxis? I don't think so. It is beacuse most of the famous attraction are very close to each other. The taxi fare is not so expensive in this case. And, the city's subway could take you around the city quickly, just for 2yuan/person/time. As for hiring a car just around the downtown area, you have to pay for 500yuan per 8 hours at least. Seems not a good idea! But you could hire a car to take you 5 to the Great Wall for a round-trip.